To report an issue with a Play Area please click on the button below to skip to our online contact form. Blyth Town Council introduced new Governance arrangements which took effect from May 10 2018. The Play Areas will now become part of the Environment Committee, and any issues with Play Areas will be dealt with by said Committee. The Town Council is committed to updating the existing play areas in Blyth. The average cost of refurbishment is £75,000. Additional projects have been undertaken when extra funding is secured. We can apply for funding from S106 Housing Development Fund which is administered by Northumberland County Council and some County Councillors have chosen to use their Local Improvement Scheme money for play area improvements. The Environment Committee have agreed that the next play area to be refurbished as part of the annual programme will be Chase Farm. 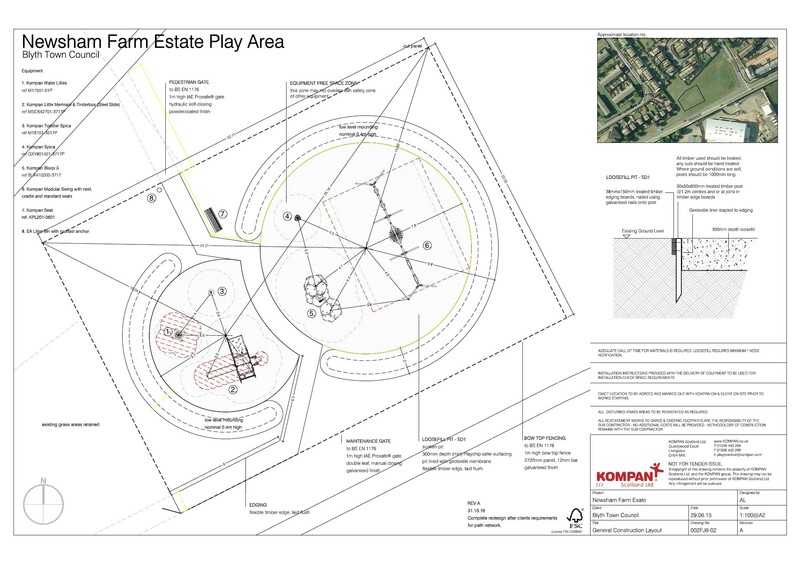 This play area has been a difficult one due to the long-term issues of flooding and the ownership of the land, however, we now have the permission of the owners and work is due to start on 25 March 2019. A contractor has been appointed to carry out the removal of the present play area equipment and the raised areas that they stand in. Following that the area will be levelled and drainage will be installed to resolve the problems that affect this particular site. The new play area equipment will not be installed until late June or the beginning of July 2019 by our appointed contractor Kompan UK Ltd. Unfortuately, this means there will be a period of time with no play area, however, this is unavoidable to allow the drains some time to remove any water from the area and settle prior to the installation work taking place. To see the work in progress, click here. Blyth Town Council are responsible for the maintenance of the play areas throughout Blyth, and it is disappointing to inform you that there have been bouts of vandalism within them. The costs that we have paid to keep our play areas in the best conditions possible through fixing these incidents of vandalism is over £10,000 in the last 3 and a half years (December 2014 - April 2018). 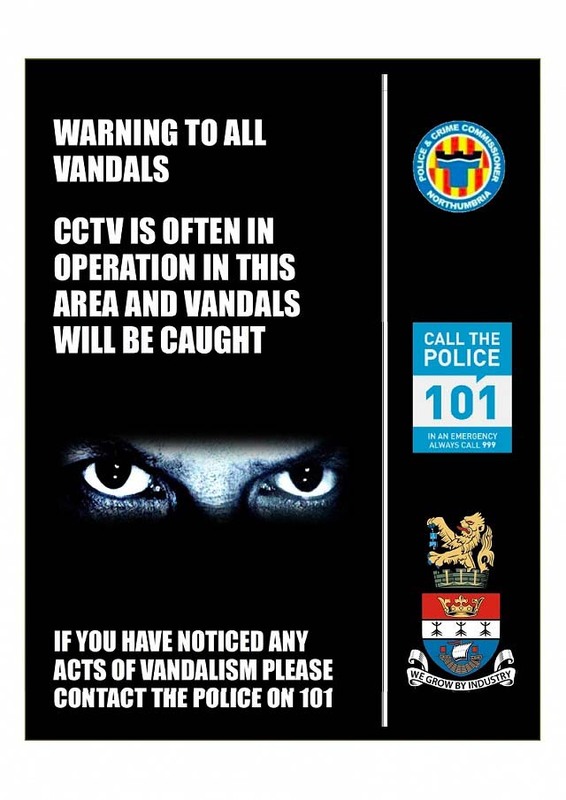 If you have any information regarding the vandalism or an issue within a play areas please let us know on 01670 361668 or email us on info@blythtowncouncil.org.uk. Alternatively you can fill in the form at the bottom of the page. The Laverock Place Play Area has been fully renovated and is now open to the public. To see the progress of the work to its completion please click here. Since 2014 the following play areas have been fully refurbished with state-of-the-art equipment. Cottingwood Green was the first play area to be fully refurbished using Town Council funds. The Multi-Use Games Area (MUGA) and Parkour Climbing Frame were installed later funded by the S106 Housing Development Fund. Axwell Drive was 50% funded by the Town Council and 50% funded by Cllrs Grant and Susan Davey using their NCC Local Improvement Schemes. An additional Teen Shelter has just been installed (November 2016), again using NCC funding from Cllrs Davey. Briardale Road had a new adult gym and toddler play area installed using S106 Housing Development fund and NCC Local Improvement Schemes from Cllrs Grant and Susan Davey. Cllrs Davey are again using their funding for additional equipment which is due to be installed in January 2017. Mulberry Close was a new play area installed using funding from the S106 Housing Development Fund. An X-Fit Gym was installed in October 2016 using money from the S106 Sports Development Fund. Burns Avenue was fully refurbished using mainly Town Council funding with a contribution from S106 Housing Development Fund and Cllr Gordon Webb’s NCC Local Improvement Scheme funding. Cllrs John and Olga Potts used some of their Councillors’ Small Schemes Allowance to have CCTV, seats and litter bins installed. A mini MUGA and toddler swing is due to be installed in March, again funded by Cllr Gordon Webb’s Local Improvement Scheme. Bowes Street (formerly High Street) has been refurbished using Town Council Funding and work was completed at the end of January. Newsham Farm Estate is the final project for the 2016/17 financial year. This new play area will be installed opposite Newsham Primary School. Planning permission was granted in September and funding has been secured as it will be fully funded from the S106 Housing Development Fund. Work is now underway - click here to view. Following incidents of vandalism at Mulberry Close when the play area first opened, CCTV was installed and it was decided by the Environmental Services Committee that CCTV should be installed as part of the refurbishment project on all play areas. 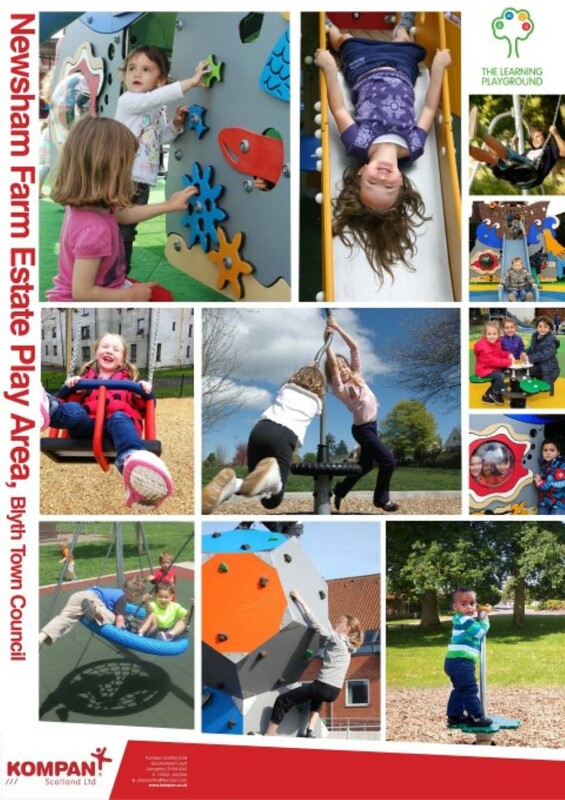 If you have any enquiries or comments on play areas please contact David Clough, General Services Officer on 01670 361668 or email david.clough@blythtowncouncil.org.uk. If you would like to report a problem with a play area please fill out the form below and our General Services Officer will get back to you.